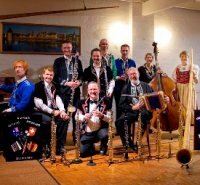 Kapelle Grüezi Mitenand was founded in 1997 by several Swiss Club members to form a just-for-fun mini-orchestra playing traditional Swiss folk music featuring the ‘”Schwyzerörgeli” (accordion). One founding member is talented musician and composer John Wanner. The group soon developed into a more seriously organized group and John Wanner, who has been successfully composing and arranging music for the group, became its band leader. It is now an officially recognized band, that gives much pleasure to music lover of both Swiss and non-Swiss backgrounds. 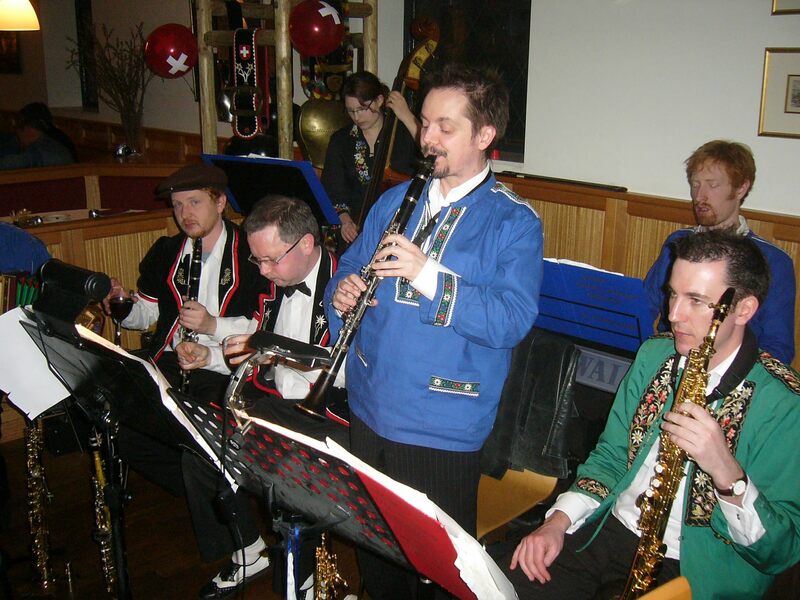 The band performs regularly at the club and at club events such as the Swiss Festival. 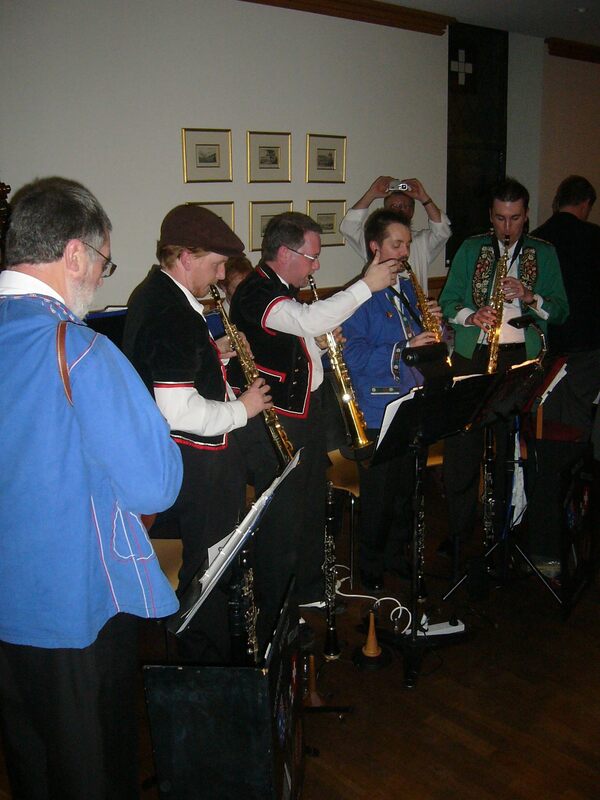 Be entertained by Kapelle Grüezi Mitenand on the first Thursday of the month at the club restaurant. 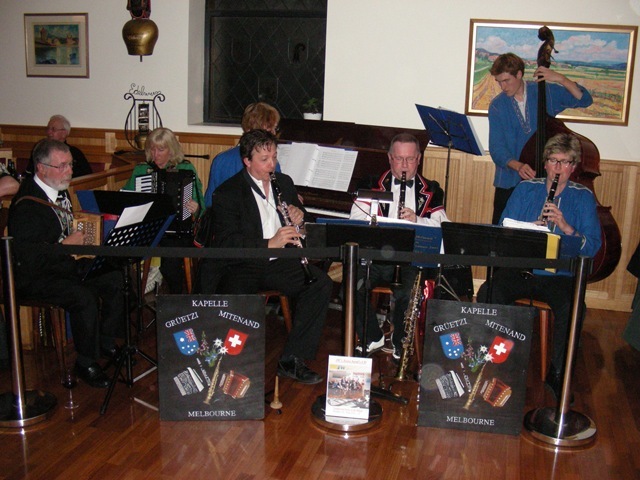 Listen to the club’s own Swiss Club Fox by John Wanner, an original composition and arrangement by John Wanner dedicated to the Swiss Club of Victoria. The Group has produced their own Swiss Music double CD. A copy can be purchased either at the club or by contacting John Wanner.